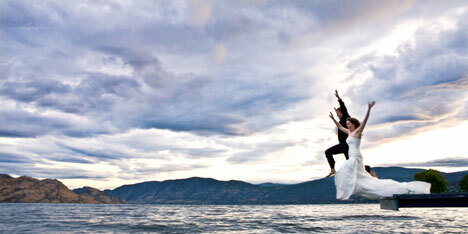 "What do you do with the dress when the wedding is over? "Revive the Dress" of course!".. Like many brides you dreamed of the perfect gown, pored over bridal magazines and tried on dozens of dresses until you found the one that was absolutely right. 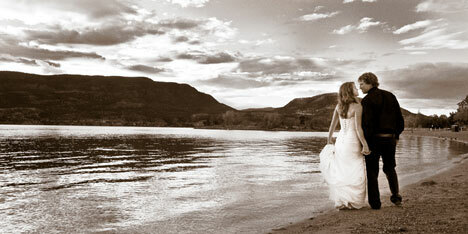 You loved your wedding dress, and just the thought of it brings back happy memories of your wedding day. So you could put it a box, and store it for...what? Your daughter to wear? Maybe, but this isn't your great grandmother's generation where the practice was common. Or you could give your dress another life and create some unique, contemporary images to hang on your wall as art, and have a fun, memorable afternoon shooting them without the pressure of the wedding day. Revive the Dress photo sessions take place after the wedding and honeymoon are over..some say to symbolically show your husband that you will never need your wedding dress again, although it's common for the groom to get suited up and join the fun. 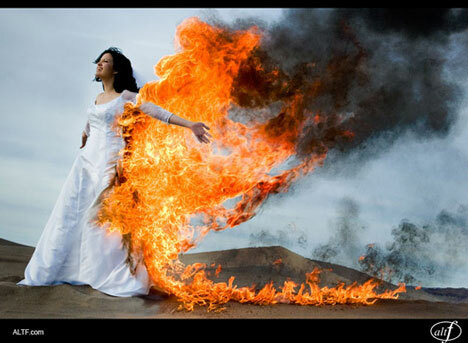 According to an article in Digital Photo Pro, photographer John Michael Cooper was the main source of inspiration for a phenomenon called Trash the Dress, when he pioneered a new creative movement in the world of wedding photography made famous by his image of a woman in a burning wedding dress. you just plain want to have a fun session that gives you fabulous, artistic images. This time, it really is YOUR day – you can be wild and crazy, or just a little bit daring. So why not take your gown out of storage and revive that dress! We also did a Highlights Video of the Revive the Dress session, including photos and video clips from the various locations we shot at, and since the articles I've read usually feature photos only, I think this would be great for brides to see what actually takes place.